It's already been a week, but I wanted to let everyone know that we safely arrived here and have been busy trying to settle into a new apartment! Playing at a fast food restaurant. Will post some pictures of the apartment once we're in it. Right now we're staying at a friend's place who is out of town for the next few weeks. 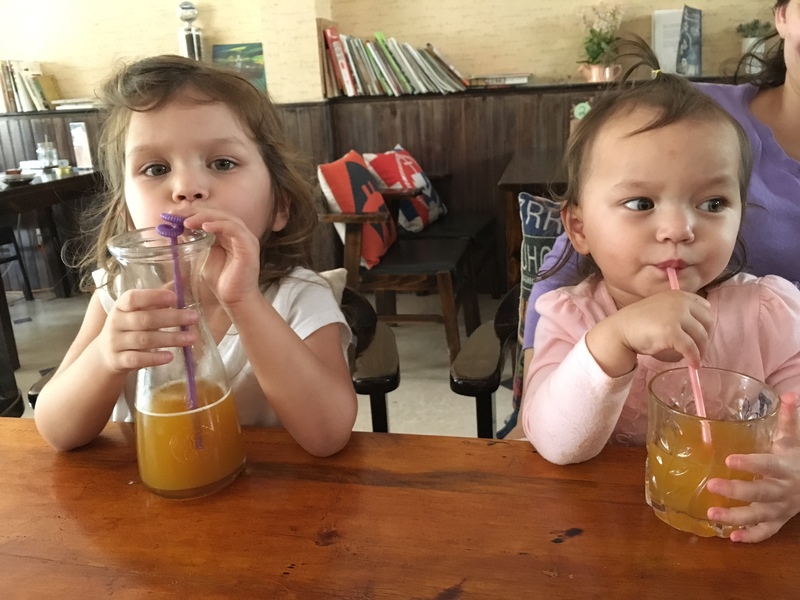 Enjoying some mango juice with a twisty straw.